VMware NSX for vSphere UI Plug-in Functionality in vSphere Client. Increases from 2048 to 10,240 static routes for Quad Large and X-Large Edge Service Gateways. IP address of VMs not published to addrset when VMs added to security group. When a VM is added to securitygroup, the IP of the VM doesn’t show up in the addrset. Traffic fails, as the proper policy is not applied to the VM, even if it is part of a properly-configured security group. If you are running multicast streams between source inside NSX and receivers outside NSX and the underlying unicast routing is through static routes, and you upgrade from NSX 6.4.2 to 6.4.3, the traffic forwarding will stop for the existing multicast streams. Multicast streams created after the upgrade are not affected and are forwarded. Tech support bundle contains files with plain-text passwords. Password for postgres, rabbitmq are available in plain-text config files of tech support bundle and can be retrieved. After NSX Manager reboot, NSX VIBs installation task is shown as continuously running in the UI on the Host Preparation tab. 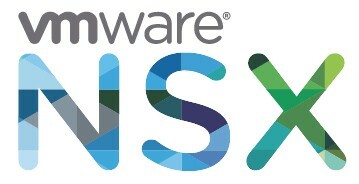 EAM does not start the installation of NSX VIBs. 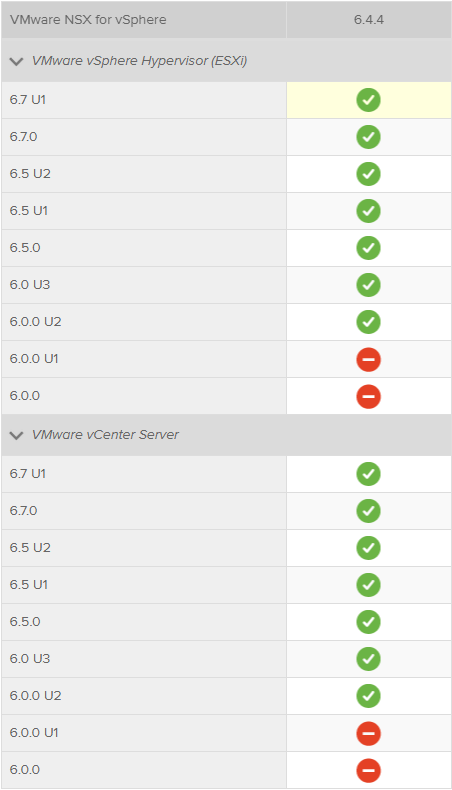 NSX 6.4.4 is compatible with vCenter Server e.g. ESXi from 6.0.0 U2 and newer.